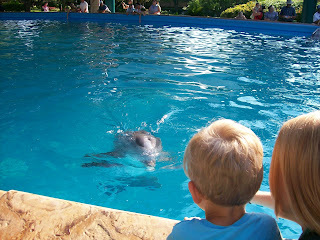 We all enjoyed visiting dolphin cove at Sea World. 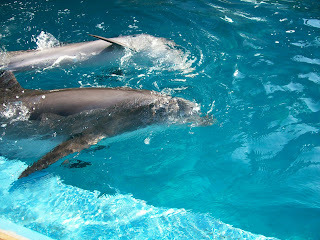 The dolphins are so friendly - they'll swim right up to you and allow you pet them. 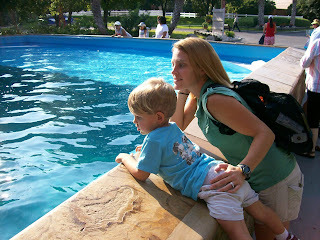 And Dawson loved it when they jumped up in the air and then splashed back into the water.